David Lereah's mea culpa first came to my attention weeks ago and has been noted on many other blogs and websites, the former Chief Economist for the National Association of Realtors finally fessing up to the fact that, for many years, he was simply a shill for the real estate industry. At the time, it seemed like interesting news, but, even more so, it was a sad and pathetic development that really wasn't worth commenting on. Then his mug showed up in the January print edition of Money Magazine (see below) which, around here, is normally bathroom reading material and, as a result, perused after sometimes lengthy delays from the day it arrives (there are many other highly objectionable items in the current issue of Money which, hopefully, will be enumerated in the days or weeks ahead). All of that still didn't cause the story to breach the threshold that would cause something to show up here, but when this appeared at CNN/Money a short time ago ... well, that was it. It was as if Money Magazine, perhaps guilt ridden after serving as such good "cheerleaders" along with Mr. Lereah a few years back, was more than happy to produce a scapegoat who would happily confess so they wouldn't have to. May 23, 2005 - Shame On You CNN/Money! June 26, 2005 - Why is This Couple So Happy? July 25, 2005 - Money Magazine on "Cashing Out"
Feb 9, 2006 - Leave Your Equity Alone! "Even if there are declines in prices, the significant run-up to date has so increased equity in homes that only those who have purchased very recently, purchased just before prices actually literally go down, are going to have problems". They were dispensing all kinds of horrible (and costly) advice in 2005. Anyway, Money Magazine has enough things to worry about now that its millions of readers are starting to catch on to the fact that "stocks for the long run" might mean much longer of a run than they had ever imagined. It makes sense for them to attempt to disassociate themselves from any complicity in the burst real estate bubble, given the current condition of equity markets. Leaning against his granite countertops when hundreds of thousands of former homeowners who thought he was telling the truth back in 2005 had to turn their granite countertops over to the bank, the little smirk, the casual tone, the change in outlook, the ham-handed acknowledgment that he was wrong but that he was just doing his job, so, it was understandable that he might be wrong and him taking responsibility for being wrong now is quite a noble thing to do. I think it takes balls to say "I was wrong." But to say "I'd not have done anything differently"? What gives? Why not lie? There is no accountability. At most you might have to appear to CONgress for the grandstanding dog and pony show. I want another country and J6P plods along. At least until they realize the bank has none of their money because the government took it to keep the lies afloat. I'm still interested in babyboomer vacation homes and or second homes statistics, which at one point, were to continue driving real estate sales higher and higher well into 2014 ... or so said NAR. 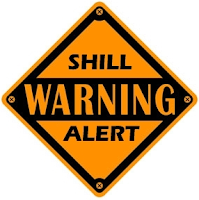 What a shock to hear that a shill was involved in pumping that crap -- who would have guessed? As the lies continue to build up, more and more criminals are discovered but there's not much we're doing about it. All the crooks have already ran off with the riches. They leave the poor "lower middle class" (POOR slaves) to clean up the mess. Each month as the prices of their homes go down, more and more middle class become poor. Look at the recent price declines collected at this site! It seems to be going down every week! David Lereah is a lying A-hole. He bought an overpriced home of his own, and several investment condos right about the peak. He wrote two books, which certainly weren't required by his job, about how the boom would never stop. NOW he claims that was only spinning??? man up douche bag, you put your own money down on this crap game! He's just looking for the paid media appearances and speakers fees. Maybe he can even get a ghost writer and swing a $500K book deal. What a schmuck, but without a braindead media that always brought him in as "an expert", things wouldn't have gone to the extremes they did. But you've got to admit -- those granite countertops look damn good. I ought to get me some of those. These people have to be held accountable and prosecuted for this culpability in part of a greater game. They assisting in this mess psychologically by making people thing it was a great investment now what? Am I correct that now they are claiming outright that it was all a lie? They are to me to different that the fools they helped create. I knew this was the case. It did not take a genius to see through the smoke and mirros being put out frankly. What idiot would be stupid enough to grossly overpay anyone for ugly small beat up shacks in this country, especially in West Los Angeles? And seeing how many fools did - while the owners laughed all the way to the bank - over the past seven years obviously there are plenty of idiots out there. On this I cannot believe that he actually admits to what I see as unprofessional, unethical behaviour, and claims he would not have done anything different! Have I read that right? There has to be responsibility. How does this differ from an economist being paid by a stock firm pushing a bad stock? Come on. I would like to know what liability issues there are for such actions. He was an economist making these claims. How would that fair in any investment firm? Someone mentions a book - I want to see the "book" thrown at him. I have a question that comes to mind. Was it the Enron situation where "inside" people told "investors" that it was a good investment? This smells to high living hell. While I think that this guy should be in jail for the lies he vomited from his piehole, nobody put a gun to your head to buy into his propaganda. People like him make a living lying to people. Be a bit more skeptical next time folks. You will save alot of money in the long run. Keith Olberman should make him the worse person in the world. The smug look on his face. The fact that he has no regrets. He should be in jail. What does he mean "it'll take a long time to get back to the peak prices we saw in many markets"? that would take another bubble, not a "recovery". Recovery would mean return to NORMAL prices, not crazy prices. and we're supposed to believe him now? He's not 'showing any balls' by admitting he was a habitual BS'er, he' simply trying to change his image so he can get a job again under the guise that he's now a reformed liar. But we all know liars never reform they just tell new lies.Like telling us they've now reformed. Throw a show at this POS if you ever cross paths w him. Before we get so high and mighty, consider this. We're a nation that smirks at lying. If you do it well and make money you're considered a great success. Our presidents get caught lying and their politica opponents fuss a little but most of us just make excuses for them if we happen to agree with their politics. Turn on the radio. Listen to the ads. Then tell me that at least 50% of them aren't blatantly dishonest in their claims. We nod and wink at those who hire illegal aliens because we got our kitchens remodeled for cheap or our lawns mowed cheaper than the American guys wanted. We think it's cute. But there is no free lunch. Every immoral or illegal or immoral act has some consequence. We tolerate dishonesty and we get what we deserve for doing so. This time it bit us in the rear end. Next time it might well destroy the nation. In a bygone age a man who admitted being full of BS like this guy did would not only not get a high paying job, he'd be shunned and run out of town on a rail. Today they get lucrative book deals filling us in on how they lied. I suspect the appeal of these books is that too many of us envy their ability to lie so skillfully and make it pay. Well,this guy is clearly professionally unethical in that he sold out his credibility and made false or distorted statements and now has zero credibility. He took money from the NAR in exchange for lying and selling his good name. He should never have a responsible position as an economic analyst. However, here's how it works.This type of man,in our society, is actually a success story, and probably shares plenty of belly laughs with his other business, sales types down at the golf course. His career future in in America is secure. He is a great lier, and American business, sales, and marketing is all about lieing. For some reason, there are large numbers of Americans who believe that it is fine , normal , standard practice to lie, spin, distort,whatever, in the name of a sale or deal, as long as you don't get caught, as long as you get away with the money. And David Lereah got away with the money. He has been very "successfull". His ability to lie believably is a tremendous asset in our business world and no doubt someone will snap him up again to lie for them. Well, all I can say is this type of behaviour is only tolerated for so long. And the payback is brutal. The French Revolution, the Communist revolutions in Russia and China were all fueled by blatantly unethical behaviour by the wealthy and powerfull. The mass of the population who are victimized by an out of control elite eventually will rebell, and the smirking Lereahs, and out on bail Madoffs, and and all the other successfull ripoffs, will be torn to shreds. I hope. Well of course he was a shill. He worked for a special interest. I don't know everything about real estate but I knew a bubble was forming in 2002. There is plenty of blame to go around. Homeowners have to take personal responsibility for their bad decisions. If they just jumped on the bandwagon and believed everything they were told, then they deserve what they got. If people actually watch the news and these "experts" and believe any of these fairy tales you deserved to get burned. This guy has the right to be smug because the American people are suckers for most stories like these, that's why were broke as a nation. USA = United Suckers of America: come over and rob us, there's a welfare check with your name on it out there. I'm so happy to see this phony economy crash, it clarifies many observations I've had in this life. I must correct myself. It's not just American liars at work. However, we'll see what the Indians do to this guy. My guess is they won't put him up in his palatial home as "house arrest" like with Madoff. I'm picturing something more like the scene at the end of "The man who would be King" when the mountain tribesmen find out Danny and Peachy's scam. That isn't really accurate. America was "for real" for about a century, beginning after the Civil War and ending when the expenses from Vietnam couldn't be legitimately contained anymore (in 1968). We are somewhat less than half-way through the process of destroying the empire, but the fatal act occurred the moment Johnson decided to privatize Fannie Mae. Who is he working for now? Sadly, he was just doing his job. He was a pimp pushing his whorish real estate. Why anyone who plans to invest not do their homework is beyond me. It is a given that anyone working for or involved with the NAR is going to lie. I blame the media making them out as experts. Then I blame people for believing it. But can't fix stupid.